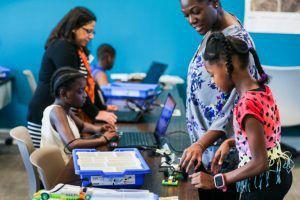 On Tuesday, Digi-Bridge was honored to join the White House Office of Science and Technology Policy to announce our commitment to meeting the President’s call for Computer Science for All (#CSforAll). 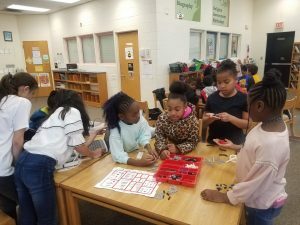 As part of our commitment, we are excited to launch #STEAMSaturdays series introducing scholars to science, technology, engineering, arts and mathematics (STEAM) disciplines in a safe environment at sites throughout Charlotte-Mecklenburg this fall. 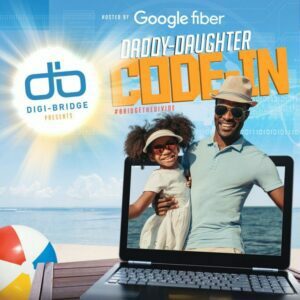 We will also continue to carry out Daddy-Daugher Code-ins (#DDCodeins) in partnership with Google Fiber. However, the work of #CSforall requires more committed private-public partnerships to reach the finish line. 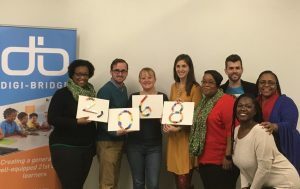 Particularly in Charlotte-Mecklenburg, where we know that 70,000 children do not have internet access at home, and where economic mobility is ranked 50th out of 50 in major US cities, now is a critical time to support this work. 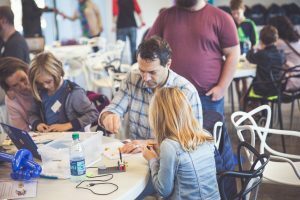 The US Science and Technology Council inspired us with the challenge that #CSforAll is completely possible. Coding IS the new 21st century literacy. To make a meaningful difference in the life of a Digi-Bridge scholar, click here to make a gift in support of this critical work. 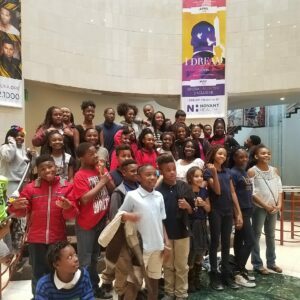 A gift of any size will help provide an educational experience that ultimately opens the door to economic mobility for K-8 scholar. 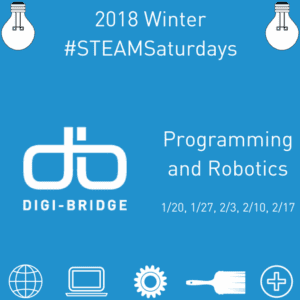 To reach out with interest in sponsoring a #STEAMSaturdays series, or to underwrite a Daddy-Daughter Code-In (#DDCodein), contact Holly Martin at [email protected].  To support Digi-Bridge as a volunteer, click here to share your interest with us. Thank you for your valued support in the work as together we #bridgethedivide!